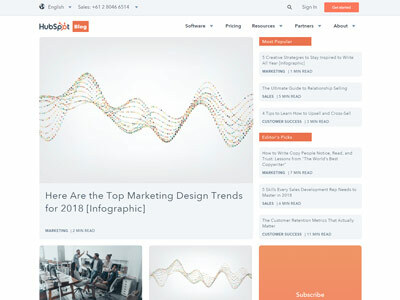 SEMrush consists of two hundred specialists in four countries focused on one goal: Creating the best competitive intelligence solution for all digital marketing spheres. 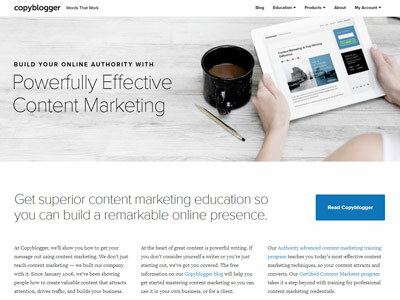 Copyblogger, founded by Brian Clark, is also known as "The bible of content marketing". 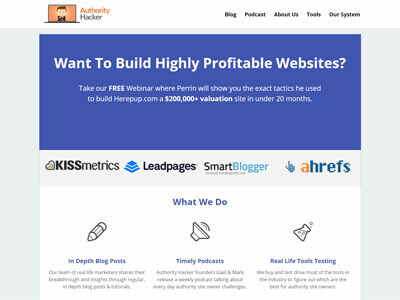 Brian teaches people how to create content that attracts attention, drives traffic and builds your business. 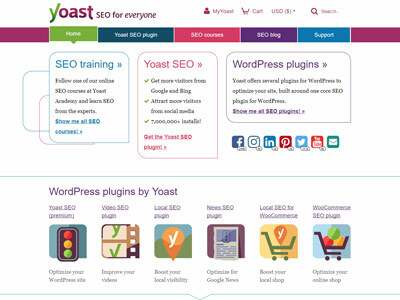 With a team of over 50 experts, Yoast provides SEO and marketing services and is also home to the popular Wordpress for SEO plugin used by millions. 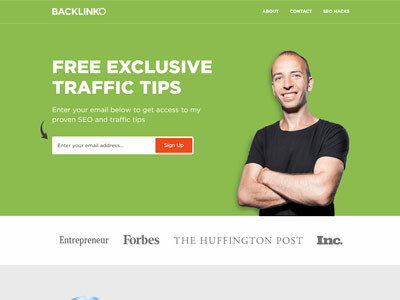 Backlinko is where beginner and professional marketers turn for proven SEO (and specifically link building) advice. 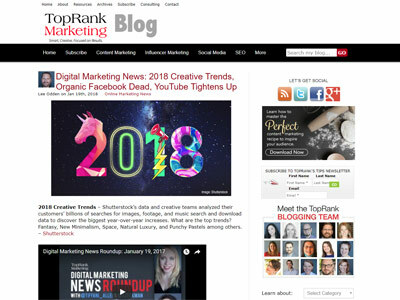 Started in December 2003 by Lee Odden, TopRank’s Online Marketing Blog helps companies increase sales, brand visibility online and develop better customer engagement. 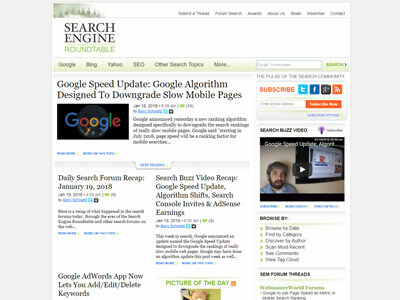 Search Engine Roundtable provides a comprehensive view on search engines and search engine marketing from five segments of the Web population represented by senior members of the major SEO/SEM forums on the Internet. 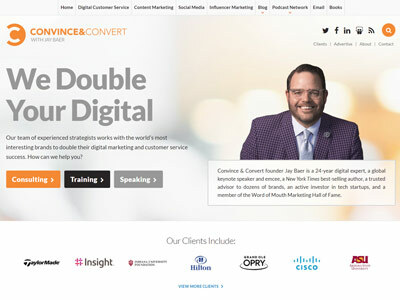 Founded by Jay Baer in 2008, ConvertandConvince helps world-class organizations to make digital marketing and customer experiences remarkable. 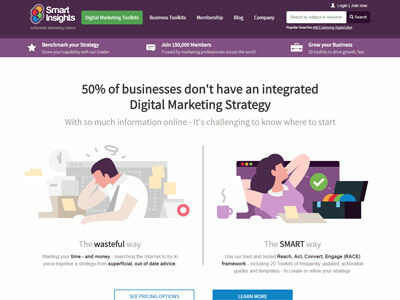 Started by two cofounders, Dr Dave Chaffey and Stu Miller, SmartInsights helps members plan, manage and optimize their marketing using the downloadable planning templates, guides and interactive learning tools. 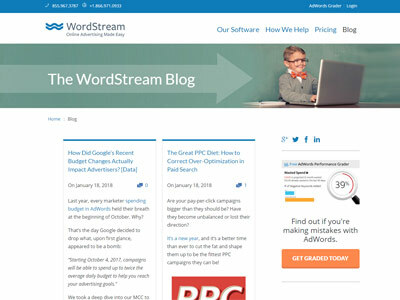 A premier Google Partner, WordStream develops online marketing software, provides managed PPC advertising services, and shares online marketing advice through their blog. 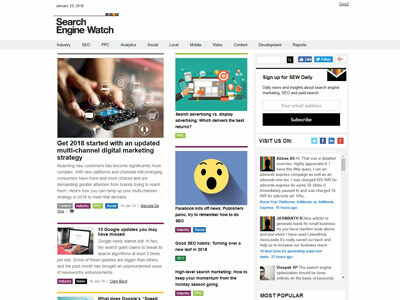 Founded by Danny Sullivan in 1996, SearchEngineWatch provides news articles, guides, reviews and commentary about Search, PPC, Social, Mobile, Analytics and more. 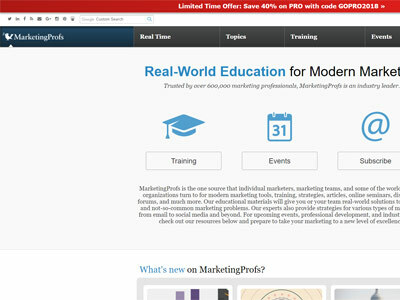 Trusted by 600,000 professionals globally, MarketingProfs is a source that individual marketers, marketing teams, and some of the world's largest organizations turn to for modern marketing tools, training and discussions. 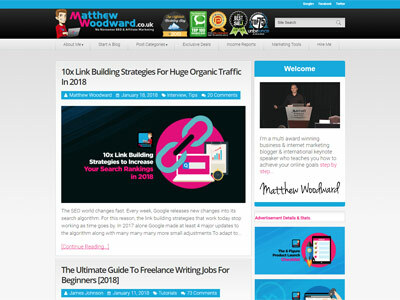 Matthew Woodward helps his readers to create bespoke SEO strategies based around the businesses needs and goals. 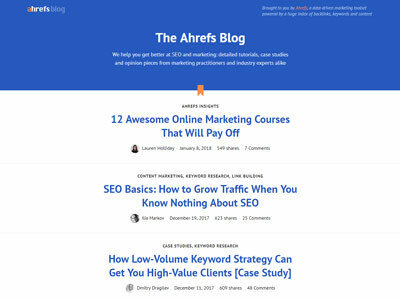 The Ahrefs blog provides a comprehensive archive of articles including tutorials and case studies with powerful marketing strategies that beginner and advanced SEO's alike can benefit from. 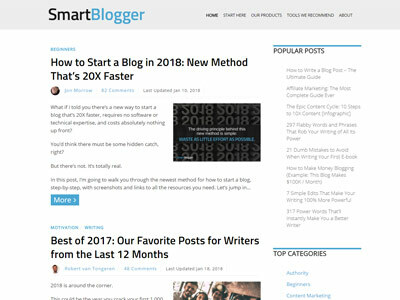 Smart Blogger is the next step in the evolution of Boost Blog Traffic (BBT), created by popular blogger Jon Morrow in 2012. 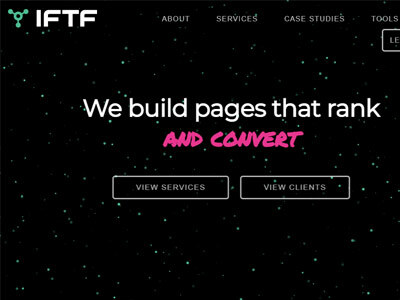 Unbounce’s landing page and conversion marketing platform allows marketers to quickly create, launch and test high-converting landing pages without the need for developers. Yours truly. 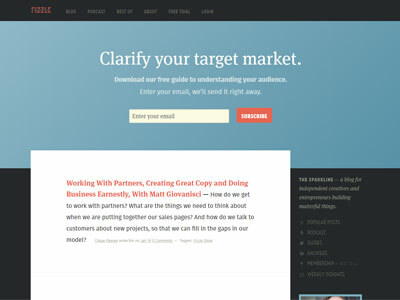 The Detailed content marketing blog that gives you advanced insights into marketing tactics you can actually use. 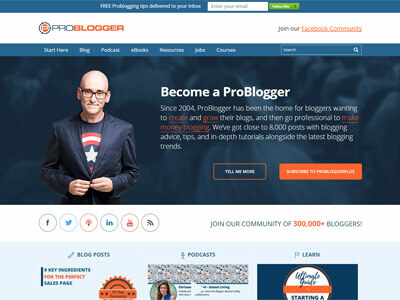 Founded by Darren Rowse, ProBlogger help other bloggers learn the skills of blogging, share their own experiences and promote the blogging medium. 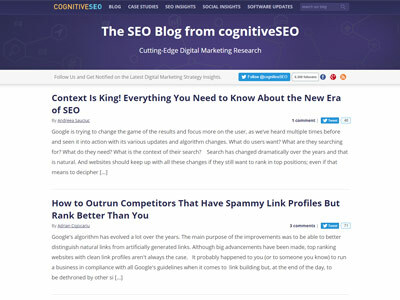 At cognitiveSEO, the target is to create a toolset that will help users monitor and rank their websites. 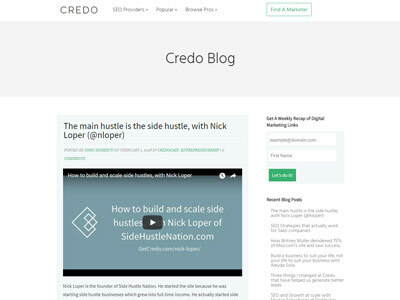 The blog is an accompaniment to the service they offer. 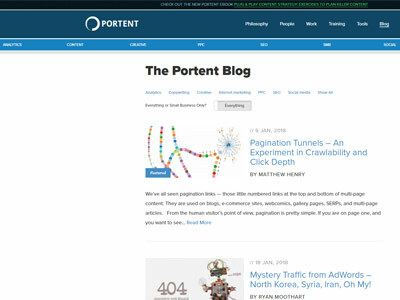 Founded by Ian Lurie in 1995, Portent provides SEO, PPC and SMB services along with creative content, social advertisement and analytics. 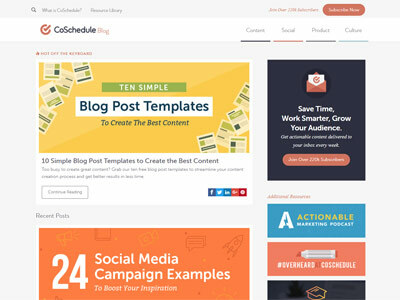 Boasting over 220,000 newsletter subscribers, CoSchedule covers topics ranking from content marketing to workflow management. 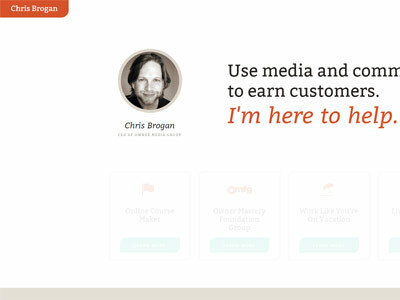 Chris Brogan is CEO of Owner Media Group which provides marketing strategies and skills for the modern business. 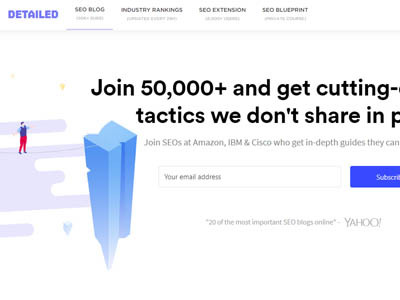 Founded by John Doherty, Credo provides SEO insights for marketers and businesses looking to take their results to the next level. 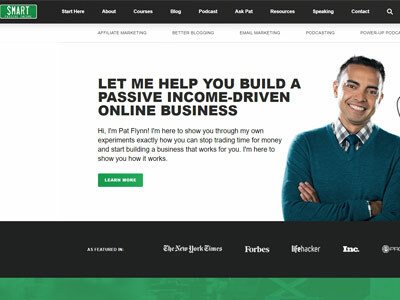 Smart Passive Income is a resource ran by Pat Flynn which teaches proven strategies for running an online business and optimizing it for passive income. 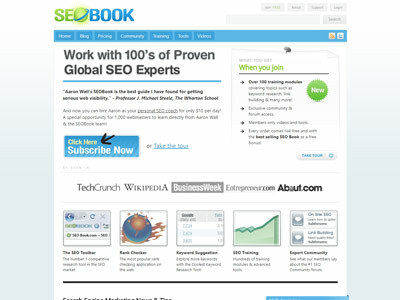 SEOBook is a leading SEO blog founded in 2003 by Aaron Wall and his team. 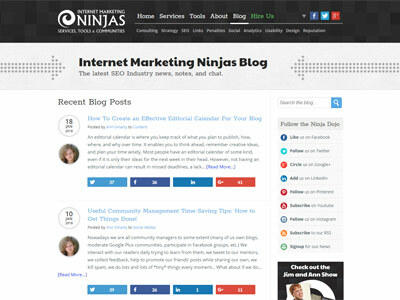 Founded by Jim Boykin, one of the original SEO's, the Internet Marketing Ninjas are a successful marketing agency with clients around the globe. 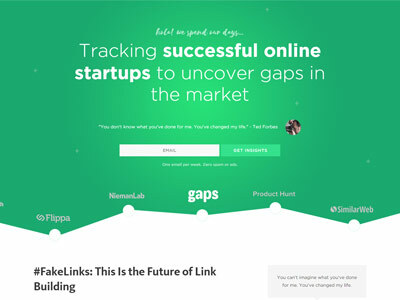 Insights on growth hacking, the tools to use when marketing your sites and more. 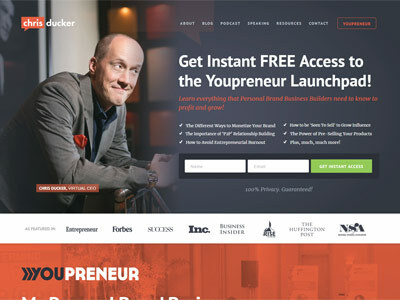 Founded by Gael Breton and Mark Webster, Authority Hacker suggests actionable advice based on actual, real-time, up-to-date experience to grow online businesses in a concrete way. 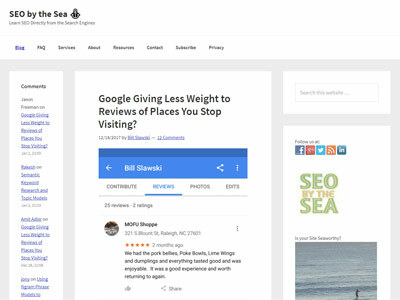 Founded by Bill Slawski, SEO by the Sea uses professional, ethical, and proactive approaches to help webmasters and their intended audiences find each other. 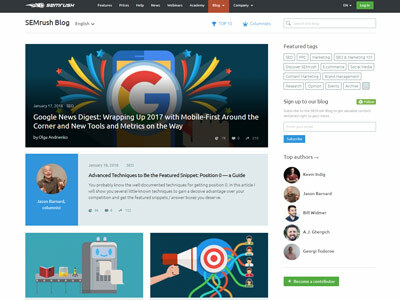 Founded by Corbett Barr and Chase Reeves, Fizzle is a blog for independent creatives and entrepreneurs building things that matter. 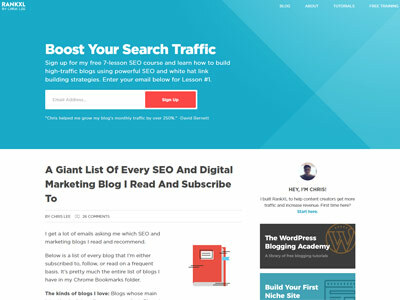 VideoFruit is a series of guides and software to help you to grow your website's email subscriber list. 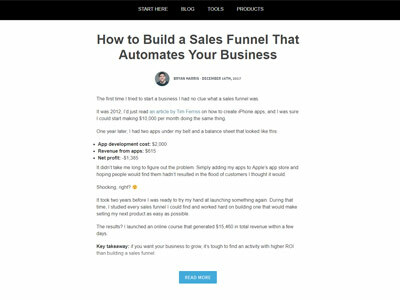 Founded by Chris Lee, RankXL is a personal blog where strategies, tips, and lessons learned are shared for online business owners. 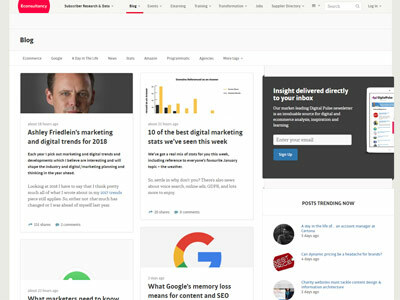 Founded by Ashley Friedlein, Econsultancy is home to the largest community of marketing and eCommerce professionals in the world. 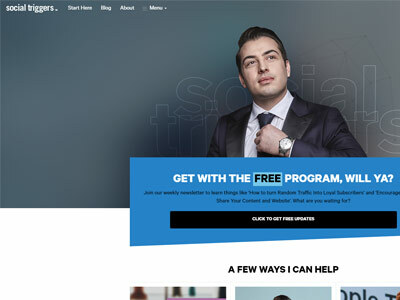 Social triggers provides a perfect blend of data driven marketing and content marketing to help readers grow traffic, attract customers and sell products online. 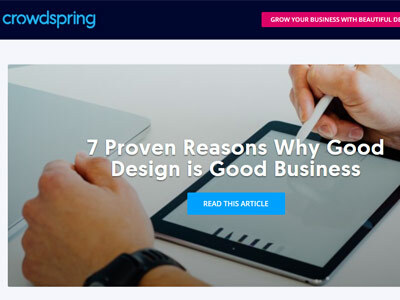 A melting pot of information to get clients kitted-out with all the tools, tips and tactics needed to start, run, support and grow a business in the 21st century. 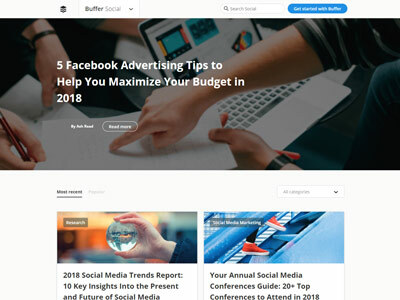 The blog of the popular social media tracking tool, Buffer share their insights to navigating the social media and online marketing landscape. 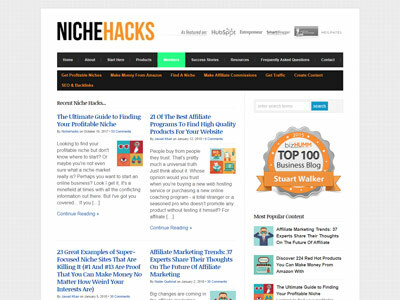 NicheHacks helps every day people find their perfect online business idea and win back their freedom, even if they don't have any business experience. 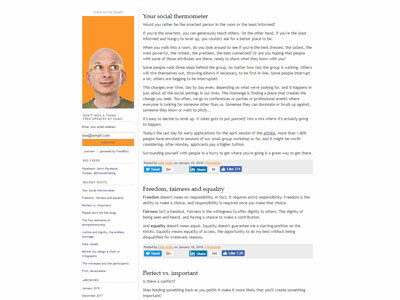 Seth Godin riffs on marketing, respect, and the ways ideas spread. 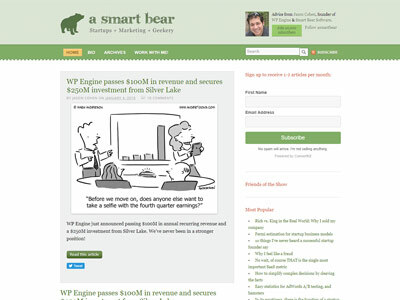 He's a best selling author of over a dozen books, and one of the web's first prolific bloggers. 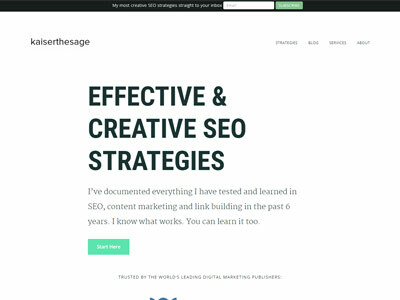 Kaiserthesage is a personal blog of Jason Acidre – a Manila-based Digital Marketing Consultant with a heavy focus on SEO, Content, Links & Web Analytics. 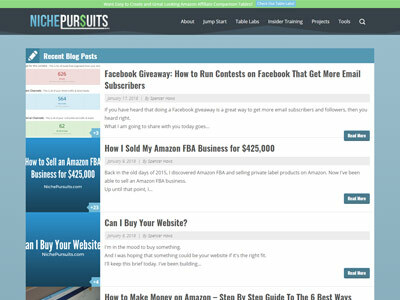 Founded by Spencer Haws, Nichepursuits is a one stop shop website to find online business ideas, marketing tactics and more. 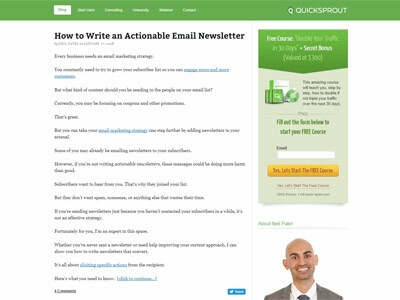 Founded by Neil Patel, QuickSprout is a business and marketing blog. 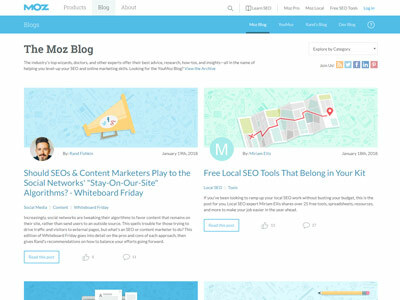 The sites main focus is to help you grow your website traffic. 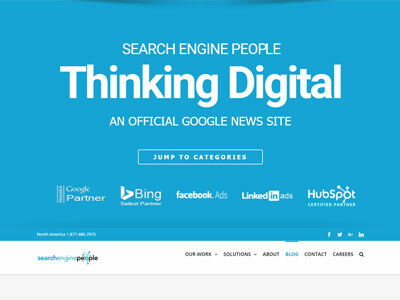 Search Engine People shares an abundance of information on SEO and Marketing, as well as solutions for reaching your goals in these fields. 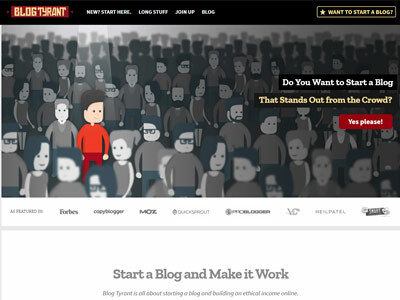 Founded by Australian blogger Ramsay Taplin, Blog Tyrant covers all the author knows about building a successful blog. 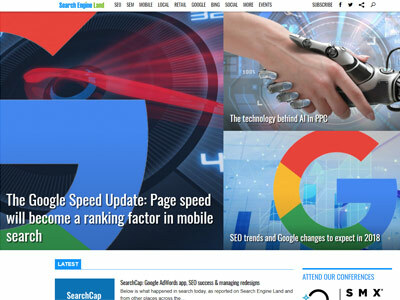 The blog from the popular agency I'm From the Future named 'The Flux' shares their insights on all aspects of SEO. Did you know? 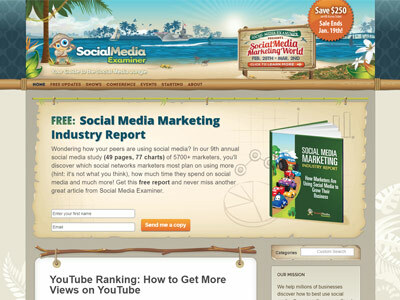 Some of the sites in this list above, such as HubSpot, receive millions of free visitors from Google each month.